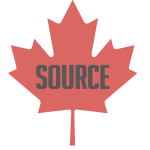 Here at Source, we specialize in producing both customized and custom-made garments. Our team of seamstress and trade specialists take pride in their work offering full re-branding and private-label programs as well as custom cut & sew which includes many notable retail and designer brands as regulars on our clients. We take pride in our work, which translates into superior quality and consistency for the end user. It also means shorter turn-around times for our clients. Since we operate on Canadian soil, in Toronto, we offer far greater ease of communication, reliability and shorter lead times than any offshore operation. FROM CONCEPT TO COMPLETION, OUR GARMENT MANUFACTURING TEAM IS WITH YOU EVERY STEP OF THE WAY. Source’s Private Label Program, only available for select clients, features an in-house apparel line of classic, staple pieces ready for made-to-order branding. Our Private Label Program is the perfect solution for schools or organizations seeking high quality Canadian-made garments that are just waiting to be customized, dyed, screen-printed, embroidered or embellished. Either provide us with the labels to be sewn in or alternatively, we will gladly work with you to develop a custom branded label to fit your needs. Our skilled Sampling Department consisting of pattern makers, fabric cutters and seamstresses have the tools, desire and ability to turn your concepts and ideas into production-ready garments. Partnered with a highly curated network of global suppliers, we can source, innovate and develop on-trend fabrications and customized raw materials—all to suit your specific needs. Just remember, if you are looking to use a more specialized or custom fabric that our primary suppliers do not carry, minimums may increase. In order to quote, we’ll need a Technical Package or a product prototype.